. To me, he was the most dangerous divisive influence in the country (A Man in His Time, 1967). Coughlins radio sermons praised Adolf Hitler and Benito Mussolini. 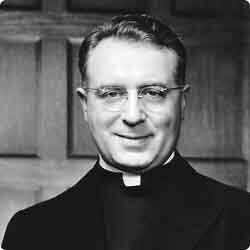 The Nazi press praised Coughlin as Americas most powerful radio commentator. He ranted against Jews, the Christ-killers and Christ-rejecters. When a Boston Globe reporter asked him for proof that communists were influencing FDR, Father Coughlin belted the journalist in the face. While visiting the [FBI] in 1936, Butler told Hoover about a plot by Father Charles Coughlin to invade Mexico to protect the Catholic Church from harassment. Smedley said that Coughlin, the famous "radio priest" whose voice he recognized, had approached him by telephone and that the call was traced back to Coughlin afterward. It seems that Butler was being hoaxed. In any case, he was clearly wary of becoming involved in another publicized plot exposé. Butler mentioned the Coughlin plot again to an FBI agent in 1940 in connection with what he termed dozens of "screwball" organizations that had invited him to appear as a speaker. "Like Hitlers Brownshirts, the Christian Front was ostensibly organized to combat the rising tide of Communism. All Jews,... liberals, New Dealers and labor organizations were called Communist; and since the Communist Revolution in America was scheduled to take place any day now, the Christian Frontalways under Coughlins inspiration and guidanceshouted that a private army was the only means to save America. Coughlin filled the pages of Social Justice with Hitlers sewer-spawned lies. He made direct use of Goebbels speeches, quoting the Nazi almost word-for-word.... He denounced the poppycock of Democracy and branded Democracy as a version of Communism (Under Cover, 1943). are of great help to the Rockefeller interests, [Henry] Ford and [William Randolph] Hearst (Spivak, New Masses, Feb.5, 1935). Although Coughlin was criticised by some high-ranking Catholics, he was never defrocked for hate-mongering, political campaigning or deceptive fundraising. Neither was he prosecuted. He continued to churn out virulent anti-communist pamphlets until his death in 1979. Mickey Z., "The A Word"